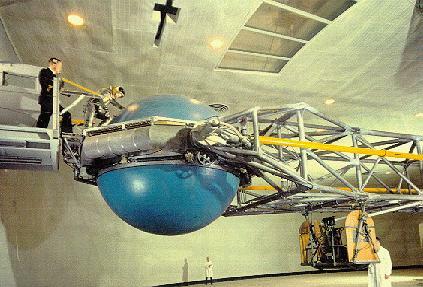 The NADC Centrifuge was used extensively for astronaut testing during the Mercury and Gemini space programs. 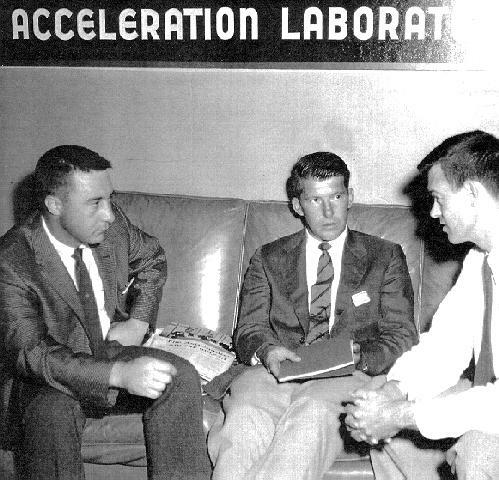 Below are a few pictures showing some of the more famous astronauts on their visits to NADC for testing. Interest was renewed in the space program with the announcement that John Glenn would again enter space at age 77. 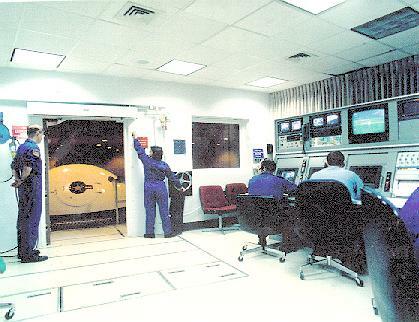 He is pictured below 37 years ago as he prepared to test at the NADC facility. 1. Neil Armstrong. Apollo 11 (1969). Age 68. Businessman in Lebanon, Ohio. 2. Edwin E. "Buzz" Aldrin Jr. Apollo 11 (1969). Age 69. President of three companies in Los Angeles and chairman of National Space Society board of directors. 3. Charles ``Pete'' Conrad Jr. Apollo 12 (1969). Killed Thursday in a motorcycle accident in California at 69. Founded and headed Universal Space Lines Inc. of Newport Beach, Calif.
4. Alan L. Bean. Apollo 12 (1969). Age 67. Artist in Houston who paints only space scenes. 5. 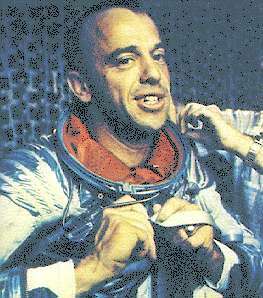 Alan Shepard. Apollo 14 (1971). First American in space. Died in 1998 at 74. 6. Edgar Mitchell. Apollo 14 (1971). Age 68. Founder and board member of an institute that researches the mind and nature of consciousness. Lives in Boca Raton, Fla.
7. David Scott. Apollo 15 (1971). Age 67. Aerospace consultant living in Manhattan Beach, Calif.
8. James Irwin. Apollo 15 (1971). Died of heart attack in 1991 at 61. Founded High Flight Foundation, evangelistic organization in Colorado Springs, Colo. Led six expeditions to Turkey's Mount Ararat in search of Noah's Ark. 9. John Young. Apollo 16 (1972). Age 68. 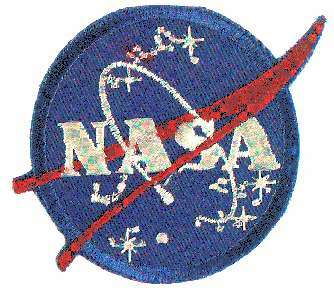 Associate director for technical matters at NASA's Johnson Space Center in Houston. 10. Charles Duke. Apollo 16 (1972). Age 63. Businessman in New Braunfels, Texas, and ``committed Christian'' who gives motivational talks. 11. Eugene Cernan. Apollo 17 (1972). Age 65. Chairman and chief executive of Johnson Engineering Corp. in Houston. 12. Harrison ``Jack'' Schmitt. Apollo 17 (1972). Age 64. Former U.S. senator and geologist living in Albuquerque, N.M. Teaches part time at University of Wisconsin in Madison. Virgil I. 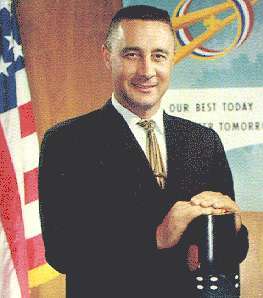 "Gus" Grissom, an Air Force Lieutenant Colonel, was America's second man in space. His Mercury capsule, Liberty Bell 7, was launched into a sub- orbital flight on July 21, 1961. During his flight he reached a speed of 5,310 mph and an altitude of 118 miles. His Mercury capsule had a number of improvements over Shepard's including a larger window in place of the previous porthole. The silvery rubberized space suit Lt. Col. Grissom wore was pressurized to protect him from the airless vacuum of space should the hull of his spacecraft be ruptured. After his 15 minute flight Grissom reentered the atmosphere and landed in the Atlantic Ocean. Before Navy helicopters could reach his capsule, however, his escape hatch malfunctioned and blew open. Seawater flooded the capsule and Grissom was barely able to make his exit before the capsule sank. He was plucked from the ocean after a few minutes of floating in his spacesuit. Grissom was the only American astronaut to participate in all three of the American manned space programs: Mercury, Gemini, and Apollo. Grissom, White and Chaffee died when a flash fire destroyed the command modules they were testing in January 1967. 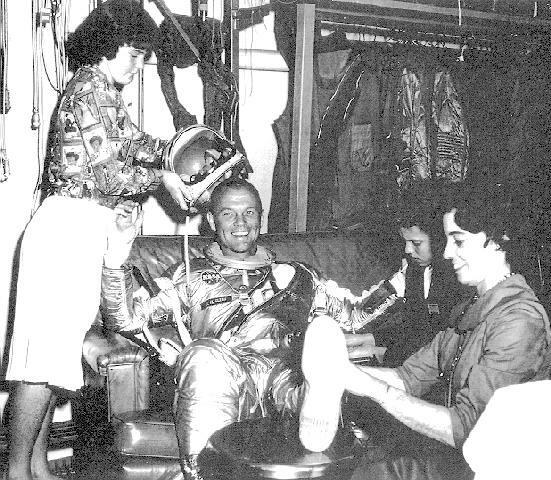 On February 20, 1962, Marine Col. John H. Glenn became the first American to orbit the Earth. He rode in the Friendship 7 Mercury capsule atop an Atlas rocket booster to an orbit 100 miles above the Earth. The Atlas was more powerful than the Redstone, the extra power being required to boost Glenn to 17,500 mph, the speed needed to achieve Earth orbit. He completed three orbits in five hours for a total distance traveled of 81,000 miles. Col. Glenn had a fiery journey reentering the Earth's atmosphere. Retro-rockets designed to slow his orbital speed remained in place rather than being jettisoned as planned. As Friendship 7 began to plummet through the atmosphere, heat from air friction melted and vaporized the rocket pack, creating a spectacular fireball. A heat shield covering the bottom of the capsule protected it from disintegration. At 50,000 feet, parachutes were deployed from the nose of Friendship 7 slowing its descent for a safe splashdown and recovery by Navy ships. 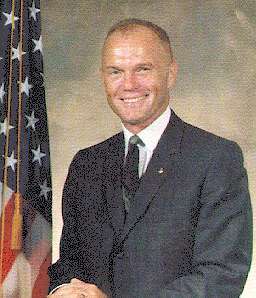 An American hero and space pioneer, John Glenn went on to a distinguished career as a United States Senator from Ohio. 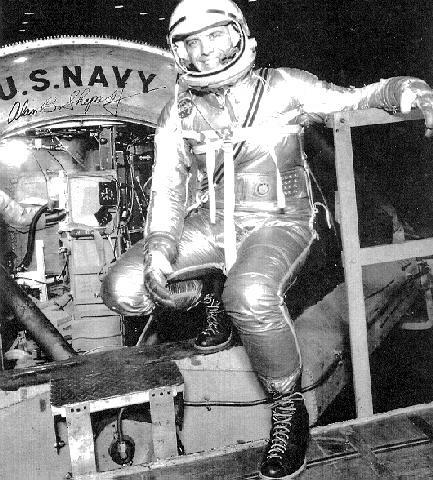 Commander Alan B. Shepard, Jr., a Navy test pilot from New Hampshire, became America's first astronaut to enter space on May 5, 1961. He was launched into suborbital space in his Freedom 7 Mercury space capsule by a Redstone rocket. His flight lasted 15 minutes, reached an altitude of 116 miles, and attained a speed of 4,350 mph. The Redstone rocket booster was 83 feet high and weighed 33 tons. Its engine was fueled by liquid oxygen and kerosene. The Mercury spacecraft was a bell-shaped capsule, 9 1/2 feet long and 6 feet wide at the base, and weighed 2,980 Ibs. It had a titanium metal skin and a fiberglass heat shield covered the bottom to absorb the high temperature of reentry into the Earth's atmosphere. Small thruster control jets in the nose of the capsule regulated its sideways, upward, and downward movements. After reentry, Commander Shepard and his capsule were recovered at sea by waiting Navy ships 304 miles downrange from Cape Canaveral. Alan Shepard was the only one of the original seven Mercury astronauts to fly an Apollo mission and walk on the Moon. Note - The background music on this page is in midi format. It requires a Netscape or Internet Explorer version 3 or greater browser and a sound card capable of playing midi audio. resources on the Web by it's researchers.